Wendesday Flash! $30 Toys R US GC ends @ 9pm PST! Powered by Mom is part of the Wednesday Flash! Wow! 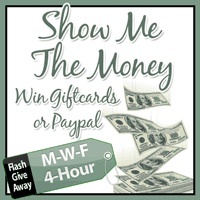 Bonus – Enter before 8pm EST for bonus Entries! 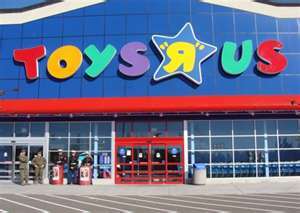 $30 Toys R Us Gift Card 4-Hour FLASH Giveaway!!! A few AWESOME Bloggers have teamed up to give you this wonderful $30 Toys R Us Gift Card! We believe in quick, small, and easy giveaways! Our giveaways only have a FEW entries to fill out and you will know if you WIN in just a couple of hours! WHAT FUN! Good luck on tonight’s giveaway! See you back on Friday for another great FLASH giveaway! I had a smurf stuffed animal. I alos loved puzzles (no one in particular). I loved my Smurf Colorforms! I loved my doodle bear! ughh, I wasn’t a doll kinda kid; I liked to play outside in the mud, dirt……..